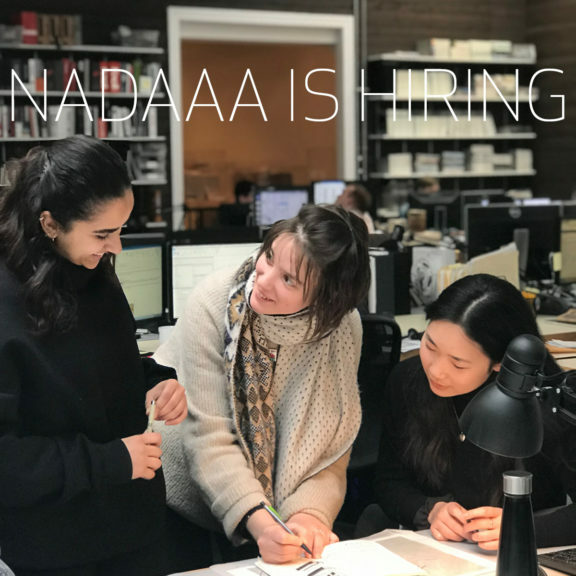 NADAAA is looking for an Architect/Designer with 5+ years of experience to join our Boston office ASAP! • 5-10 years of post-graduate professional experience in the Architectural/ Design Industry in a similar role. Please submit qualified resumes and portfolios in PDF format under 20 MB to nada@nadaaa.com. Please mention your years of experience in the email’s subject line. Please no phone calls or hard copy portfolios. 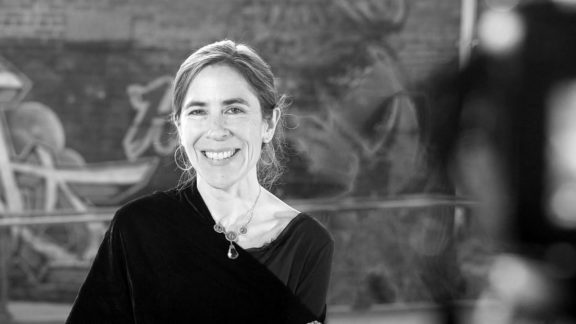 Helbling features Katie in this year’s Women in Construction Week, asking her what inspires her, how she keeps the office aligned with its core values, and how she supports gender equality at NADAAA. Read the full interview HERE. 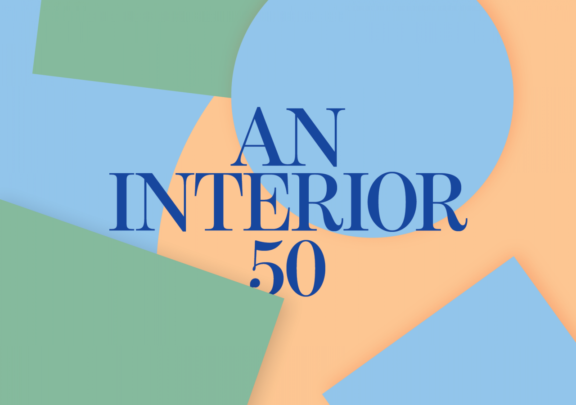 NADAAA makes AN’s Top Interior Architects list! 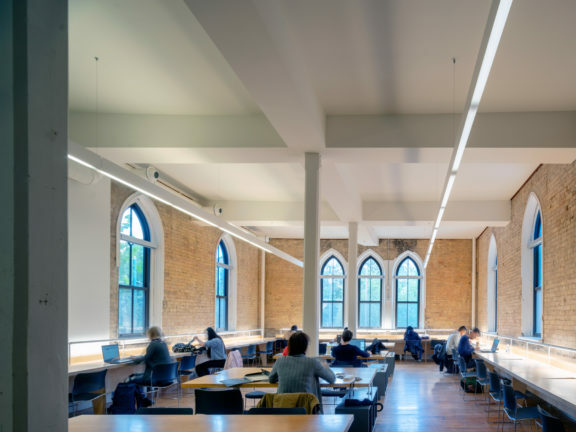 In Architect’s Newspaper’s second annual round-up of top interior architects and designers, they have once again named NADAAA among the select firms. We are honored to be among these amazing firms. 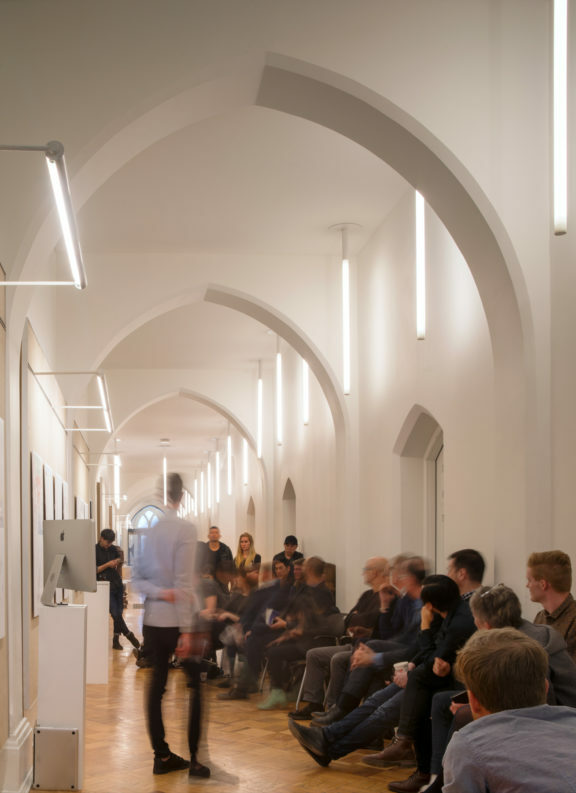 Comments Off on NADAAA makes AN’s Top Interior Architects list! 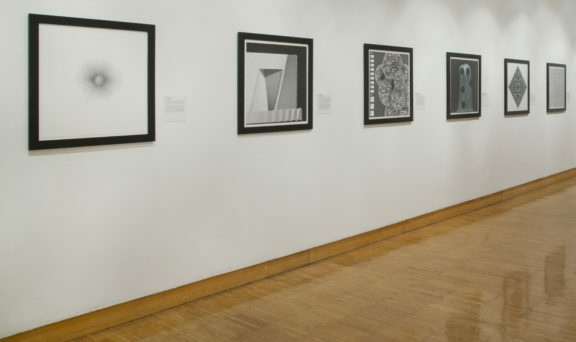 The Cooper Union show closes this coming Saturday, February 23rd. 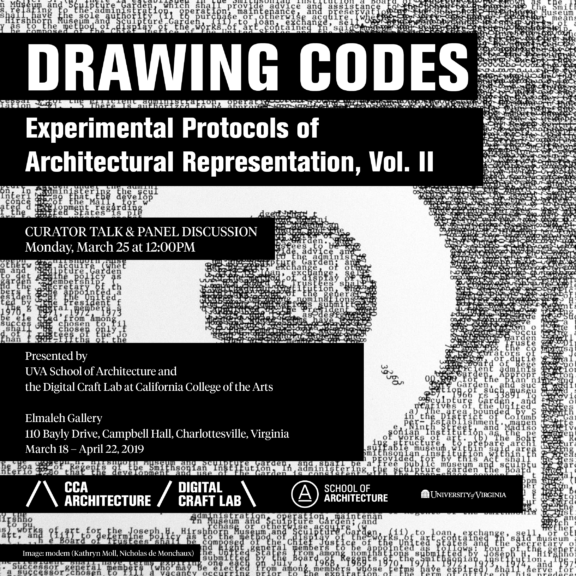 It will then travel to the University of Virginia, where it will open on March 18! 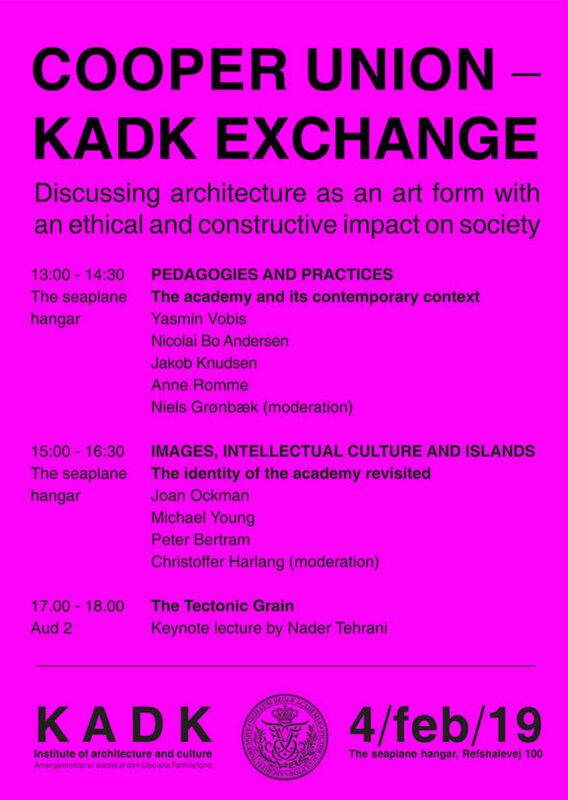 (see poster below). 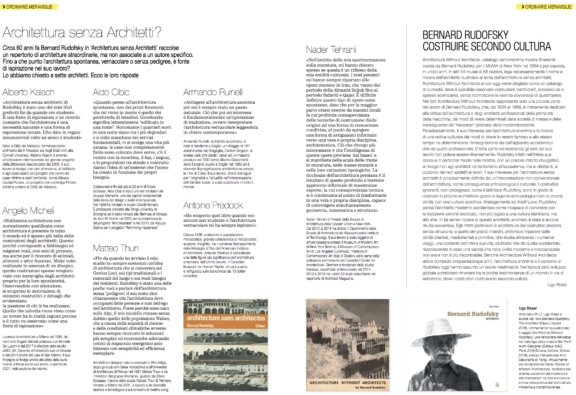 In IoArch’s January 2019 issue they celebrate Bernard Rudofsky’s legacy by asking seven architects about how vernacular architecture has inspired their work. See the full issue HERE. AIA Louisiana’s 20th Annual Celebrate Architecture will be at the Manship Theatre at the Shaw Center for the Arts in Baton Rouge on March 15th. Nader will be joined by Alejandro-Zaera-Polo and Maider Llaguno-Munitxa of AZPML and Byron Mouton of Tulane University’s URBANbuild program. Register HERE. NADAAA’s new residence hall project for the Rhode Island School of Design is going up at 60 Waterman. 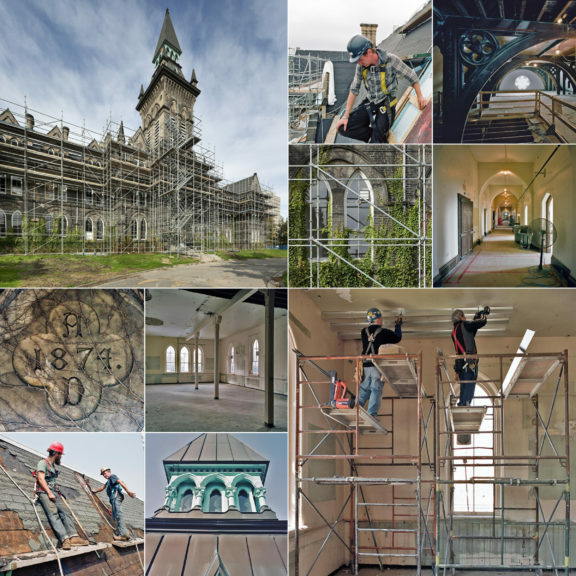 The team celebrated the ‘topping out’ on January 23rd. 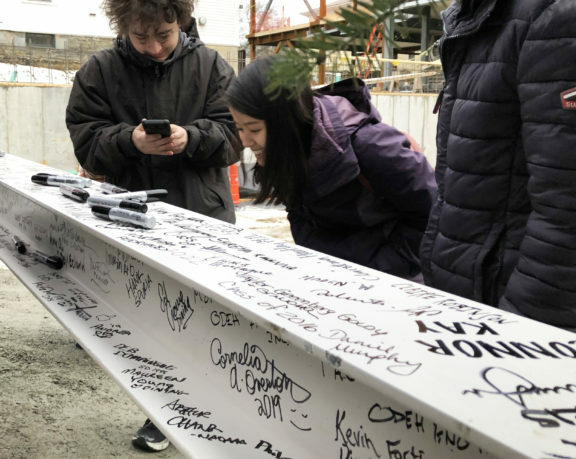 Neighbors, friends and the RISD community were invited to sign the final beam before it was hoisted to the 6th floor. In keeping with tradition, a small tree was placed on the beam. The tree, a gesture to the Scandinavian forest spirits, will remain atop the structure until the building is enclosed. 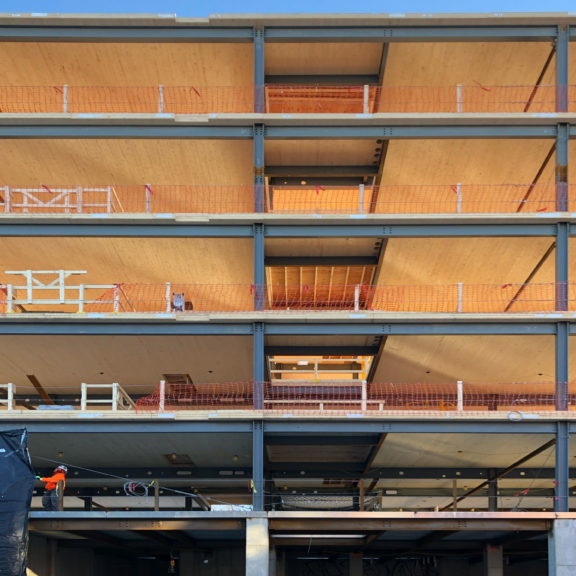 After a string of freezing cold days, the building was resplendent during the ceremony, its golden cross-laminated timber (CLT) deck glowing in a steel frame. More than one person commented that it was a shame that the building could not remain that way. Most architects are acutely aware of the paradox that in trying to build our best civilization we are among the planet’s greatest producers of waste. Construction garbage accounts for a disturbing percentage of the world’s refuse. Hence the excitement around the potential of CLT construction. Made of plies of kiln-dried soft-woods, CLT is poised to make a significant impact to the market in the near term. It can be cut to size in a factory, shipped, and installed without modification. The biggest financial challenge to using CLT tends to be logistics (e.g. how far is the job from the production facility), and with new plants coming online every few months, that may cease to be a problem. 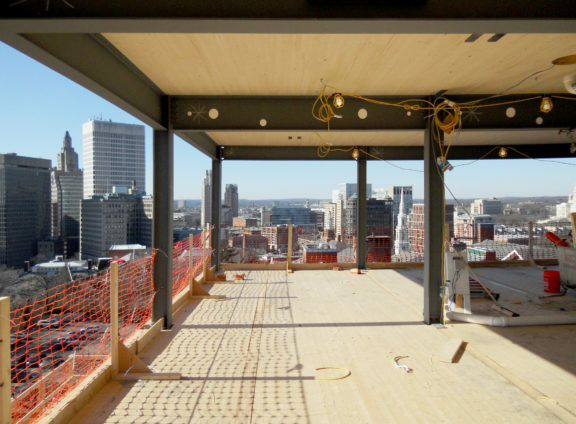 60 Waterman was designed to take advantage of CLT’s dimensional stability and a maximum truck bed size. Five-ply planks were driven from Canada, 8 feet wide and 50 feet long. Due to the relatively light weight, the manufacturer fit many planks on a truck, so there was minimal strain in getting material to the erection crew. Weighing much less than precast concrete planks, CLT is capable of greater coverage, going up faster using a smaller crane and less fussiness than precast concrete plank. The building structure was complete in less than three weeks. CLT has no camber – it is joined to adjacent planks with a spline. If the CLT needs to be modified, it can quickly be cut with a chain saw. Try that with concrete. Using an Integrated Project Delivery, NADAAA worked with Shawmut Construction and subcontractors to coordinate a central utility spine in the corridors. Mechanical feeds and sidewall sprinklers afford maximum ceiling height and flexibility of layout for the bedrooms. Perhaps the most exciting thing about 60 Waterman’s design is the warmth that wood ceilings will bring to the building interior. That simple gesture is the byproduct of a design process driven to optimize construction time, budget control, and minimize material waste. 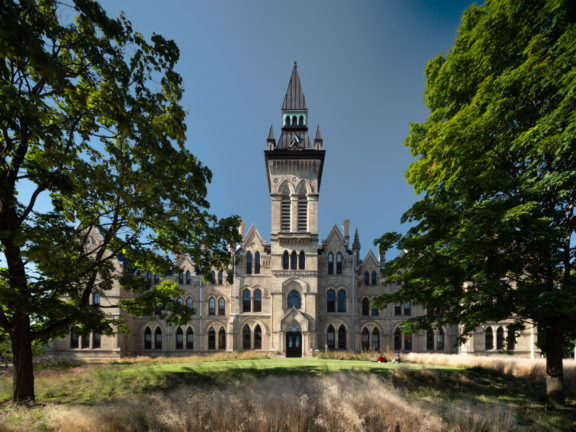 Along with the construction partners, NADAAA collaborated closely with structural engineer Odeh Engineers, Inc. to evaluate numerous options for the superstructure. The team ultimately chose the hybrid CLT system due to its inherent sustainability, beauty, and speed of construction. 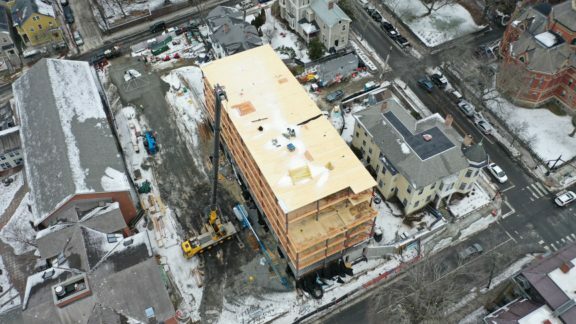 When this building opens in late August, it will be the first hybrid steel-CLT residence hall in New England, although likely not the last. 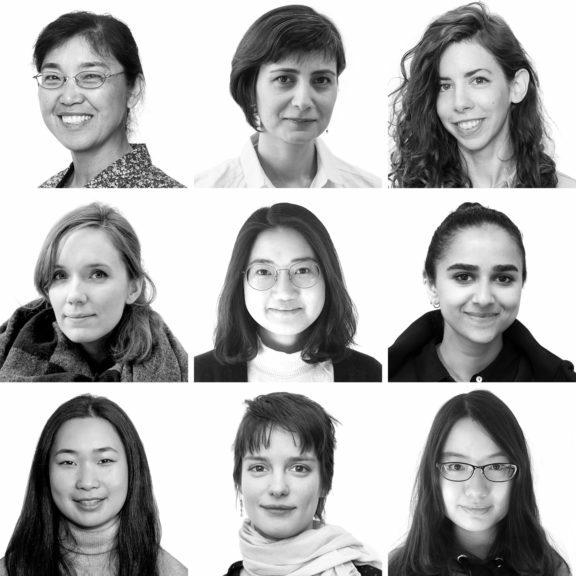 NADAAA is looking for a Full Time Architect/Designer with 5+ years experience to join our Boston team to start ASAP. Please submit qualified resumes and portfolios in PDF format under 20 MB to nada@nadaaa.com. Please mention your years of experience in the email’s subject line. Please, no phone calls or hard copy portfolios.